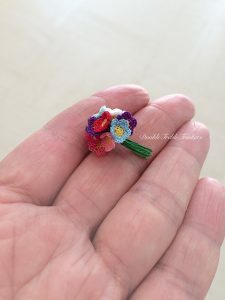 Yes, I use an ordinary polyester sewing thread and my 0.4mm hook to crochet these tiny flowers. And… it’s not as difficult as it seems 🙂 Give it a go! 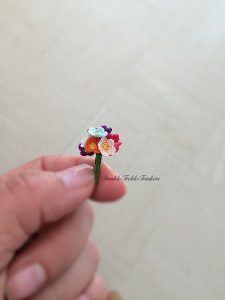 This entry was posted in Flowers and tagged micro flowers. Bookmark the permalink. Oh so cute!! 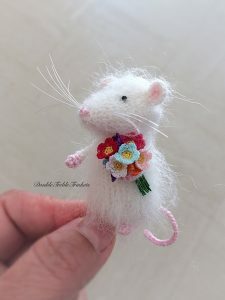 Is there a pattern for the cute mouse? It’s so tiny! I think it looks very cute. Awww. So sweet. I really admire your work!